It was never meant to end the way that it did. 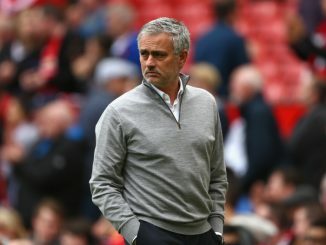 Manchester United exited the Champions League at the first hurdle, having spent over £90million in the summer on new players – Louis van Gaal was forced, again, to justify his position and reiterate the fact that he believes United are “getting better”. If you witnessed the first half performance against Wolfsburg and how the German side waltzed through the United defence for their second goal – you wouldn’t have though it. Bastian Schweinsteiger, a World Cup winner and a once elegant general of the midfield, looks a player on the decline and was abysmal in the final group game. United travel to the south coast today to take on Bournemouth and will be without Schweinsteiger, who was banned following an incident with Winston Reid in the 0-0 draw with West Ham. Bournemouth have done wonders under the leadership of Eddie Howe and will play their first league fixture against United ever. Both clubs have met eight times before, with the last tie in the 1988/89 season – a FA Cup 5th round replay. Brian McClair scored the only goal that day and Louis van Gaal will need some of that firepower up top as United look for their first win since beating Watford 2-1 last month. Bournemouth are on a high following the victory over Chelsea last weekend and will no doubt take confidence in the fact that United are now out of the Champions League and could well be another big scalp. We are joined by the lads from Tales from the South Coast, as we take a look at Bournemouth’s surge up the divisions, the battle for survival and how ex-Manchester United forward, Josh King, is getting on. You can follow the lads on Twitter @tftse. 1) What have you made of your season so far? Will you stay up? Like all newly promoted teams the first objective is to stay in the league and I believe that will happen. The season hasn’t gone quite to plan. After easing ourselves into the Premier League and starting to show signs of our talent, serious injuries to key players put a bit of a dampener on results. After some serious drubbings the current team are growing back into the league and the last four games have shown that we can compete. I expect AFC Bournemouth to surprise a lot of teams as the season goes on. 2) What are your thoughts of the game against Chelsea last weekend? With their poor form – did you expect to get something out of the game? Before the game I thought a draw would be the best we could expect. Chelsea still have a team full of talent, but they are just not showing it currently. Once the game kicked off and we showed we were ready to compete I was thinking the signs were good. If we could get the first goal a point would be ours. I thought the first half was ours and the second half was Chelsea’s and with 10 minutes to go I thought a 0-0 was on the cards, as neither team looked like scoring. But, we nicked a goal and it was almost impossible to watch the rest of the game as I was convinced Chelsea would get an equaliser. They didn’t and we got a most welcome three points. 3) Just how good a manager is Eddie Howe? Is he a potential England manager in the making? If you are a Bournemouth fan Eddie Howe is a legend. I can only compare him to other Bournemouth managers and he is the best we have ever had. Does he have the potential to be England manager? If his time at AFC Bournemouth is anything to go by then Yes. But, he needs to manage a team of superstars to see how good his man management skills really are. 4) How has Josh King done on the south coast since signing in the summer? Eddie Howe likes his pace and that’s why he has been in the team. He started slowly and never looked convincing, but Eddie Howe has persevered and now he is starting to show he can be a Premier League striker. He will only get better. 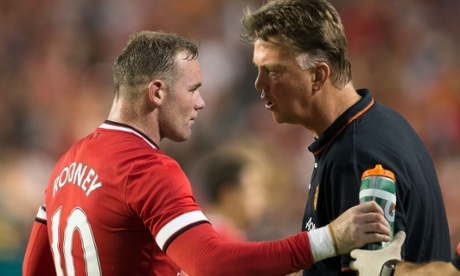 5) What have you made of Manchester United this season? Title contenders? Lacklustre. They have lost that invincibility and sparkle that they used to have. Van Gaal has spent a ridiculous amount of money to produce a pretty mediocre team. But, they are still getting results and are in the top four. Are they title contenders? It’s hard to see them winning the league but no-one looks convincing so as it stands it could just happen. 6) United deservedly crashed out of the Champions League in the week – are United getting better, as Louis van Gaal claims – or should he be doing better? They are getting g better, but they are still not good as they should be. 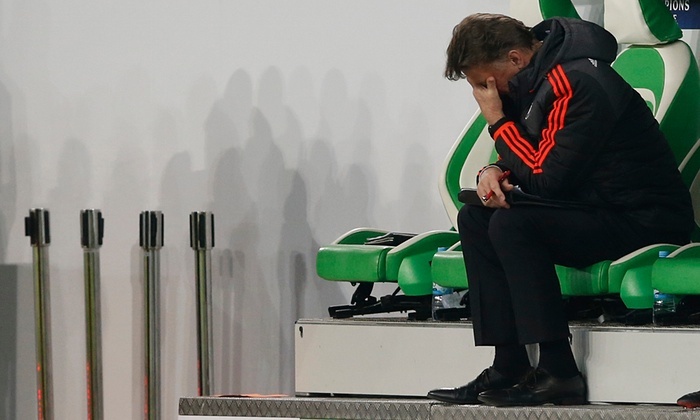 Van Gaal has been given plenty of backing and he hasn’t really produced. If I was a United fan I would want him replaced. 7) Just how big a loss is Callum Wilson to the club? How many goals could he have scored this season? He is a massive loss. He was the spearhead of the team and his goalscoring prowess was there for all to see. With him in the team we would have picked up a lot more points. I could have seen him continuing his fine form from his League One and Championship days and getting close to 20 goals this season. 8) Why do you think the promoted clubs are doing so well this season? Not really sure, but I think they were better prepared for what lay ahead. I think the gap between the best teams in the Championship and the worst in the Premier League is fine. And, the promoted teams have the momentum and winning mentality. 9) In terms of the joy in beating neighbouring teams – how would you rate (in order) wins over – Brighton, Southampton, Portsmouth and Reading? I don’t really have a preference. Love beating all of them and hate losing to any of them. But at the moment Southampton would top the list as we are in the same league. 10) What is your all time Bournemouth XI? That’s a very difficult question to answer. But, Steve Fletcher would undoubtedly make the team thanks to his service and his winning goal against Grimsby in 2009 which ensured that we stayed in the Football League. Any of the current back four and Harry Arter would definitely be serious candidates for a place. Who else? Wing wizard Wade Elliott, midfield dynamo Ian Bishop and in goal Gerry Peyton.